Today’s article will be a review of Sony’s PCM-D50 hand-held audio recorder. This recorder isn’t new. It was released in 2007. There are many reviews of this recorder. I won’t repeat the excellent work they’ve already done. Instead, I’ll look at the role this recorder plays in field recording sound effect ambiences specifically. I’ll also mention why we at Airborne Sound recently purchased this particular recorder to use while stealth and guerilla recording. I won’t focus on tech specs as much as the experience using this recorder field recording stealth ambiences. I’ll start by describing why we took interest in the D50. Then I’ll answer the biggest question: does it sound good? After a section with some free downloadable sound effect samples, I’ll continue next week with more detailed observations, and conclude with some pros and cons. I’ll follow this with a shootout between the Sony D50 and an audio recorder often compared with it, the Zoom H4n. I mentioned other reviews. If you want to get a broad impression of the D50, skim over the reviews on Sony D50 on Amazon.com . However, if you want a personalized review of the recorder, read René Coronado’s Handheld Recorder Shootout articles. 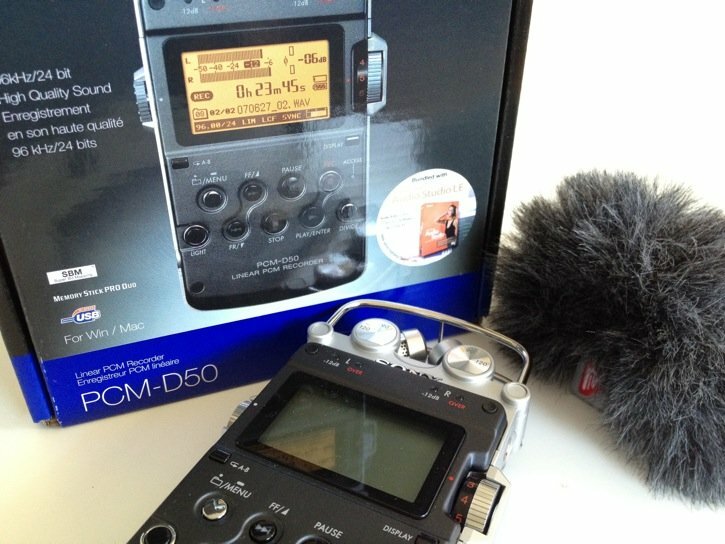 The D50’s specs are compared to similar recorders. There’s also a page complete with audio samples and spectrograms. It’s thorough and a good read. View the official D50 page on Sony. The manual is there, as well as the microphone’s frequency response and other specs. For comparison you may also be interested in this review of the cheaper, little brother to the D50, the Sony PCM-M10 at the London Sound Survey. What recorder you need depends on the sound effects you’re capturing and how you record. There isn’t a single choice that will work equally well in every situation. If you’re in a studio, or recording specific, controlable sound effects outside, your needs may differ than someone who specializes in recording birdsong. The choice may even be based on personal feel. There are many correct answers. 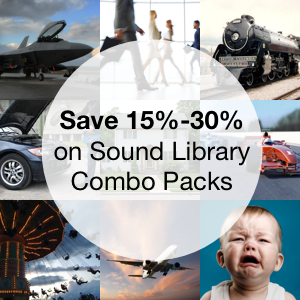 At Airborne Sound we primarily record ambience sound effects. So I’ll look at the Sony D50 in terms of stealth and guerilla techniques used for recording atmospheres. First, a bit about stealth and guerilla recording. 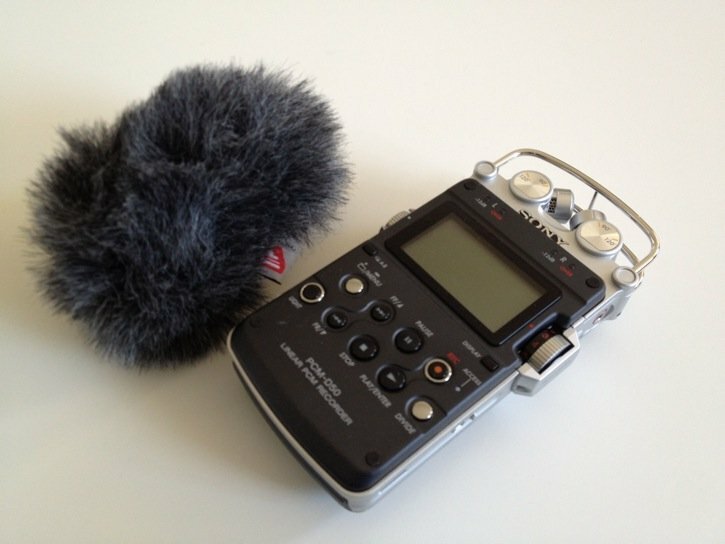 Stealth field recording refers to recording sound effects in a covert way. It may be recording a crowd in a manner so the recordist won’t be noticed. It may be slipping into a location. Sometimes people will act differently if they notice someone recording them. The main idea behind stealth recording to be discreet so that the integrity of the sound effect recording won’t be disturbed, and the sound will be as true to its spirit as possible. Guerilla field recording is a term I borrowed from the filmmaking method. It refers to using the bare minimum in gear, or, to borrow from Wikipedia, shooting sound effects “quickly in real locations without any warning, and without obtaining permission from the owners of the locations.” An example of this kind of recording we’ve done before would be while a protest is occurring. We were looking for a compact recorder to shine in both these techniques. 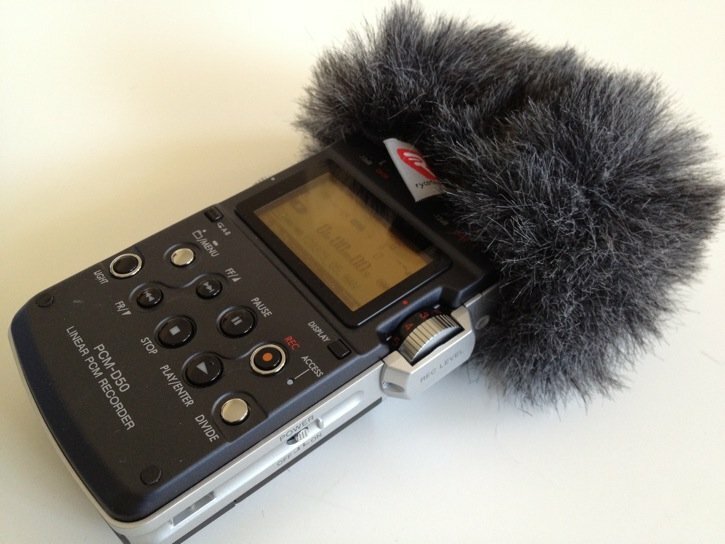 What’s important to us while stealth or guerilla field recording? 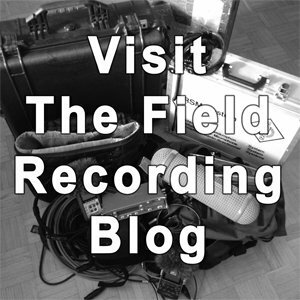 On our field recording blog, Jetstreaming.org, I wrote a digital sound recorder buying guide. This article lists broad qualities for thinking about field recorders, and is meant as a guide to find what’s suitable for your own technique. I’ll approach reviewing the D50 with these in mind. I’ve broken this thinking into two articles. The first discusses key features. Next week I’ll look secondary, though important considerations. Field recording stealth ambiences often means working under pressure of time, position and environment. A recorder in this situation must be tough. Also, since recording stealth requires discretion, the recorder needs to be small. The D50’s small, hardy aluminum form solves both problems. Usually a portable recorder trades sound quality for a smaller size. This is the accommodation we had made in the past for older recorders such as the Zoom H4. We wanted to upgrade specifically because the sound quality of the D50 was said to be superior. It certainly is. The microphone quality of the D50 has incredible clarity and definition. The sound effects captured are crisp and distinct. It avoids the low, muddy bass of comparable recorders. It appears to be sharper in the high to mid range. I actually found myself wanting a bit more weight from the bass, but this isn’t much of a problem. Taking into consideration the format and size of the microphones it is more than acceptable. The most remarkable aspect of this recorder is the sound stage. The ability to convey depth in a clear way is impressive. You can hear samples at the end of this article. You can orient the microphones in a 90 degree (specifics) and 120 degree (ambiences) pattern by sliding them to the side. It’s important to note that the microphones are next to useless recording exterior sound effects. Even the slightest breeze with crap out the microphones. 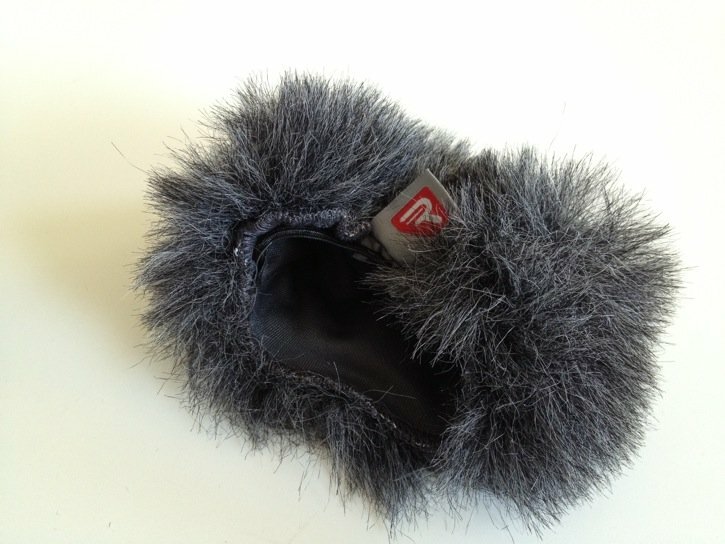 I bought the Rycote windscreen and it works excellently. It’s transparent. Other options for windscreen include Sony’s stock ADPCM1 version , as well as the inexpensive Redhead option. A thread on Gearslutz has more information. Whichever you choose, budget around $50 more for the price to pay a windscreen to use outside. It’s essential. Thank you to all of you who Tweeted windscreen suggestions. I tried using the D50 with an external microphone. I used Sonic Studio’s DSM 6S/EH binaural microphone. The 6S connects via an 1/8″ connection. A cool feature of the D50’s software: it automatically detects when something is connected to its input and asks if you’d like to switch on plug-in power. I have some some samples of the 6S with the D50 at the end of the article. The D50’s construction has two cool features. First is the aluminum chassis. It’s strong. The second is the ‘roll cage’ protecting the microphones. Small recorders like these will eventually be stashed in a bag or thrown in flight cases with other gear. The cage protects the mics from casual bumping. Many toggable functions are operated by switches on the chassis. The mic limiter, input, low cut filter, mic attenuation are all available via sliding switches. Other recorders have these options via software menus. The scattering of buttons is a sword that cuts both ways. Having all main functions available is handy. It also means that the buttons could be inadvertantly flipped as the recorder is stashed in pockets or satchels. (This has happened to me already.) I may tape over them to avoid this since I expect to the D50 to be experiencing rough treatment and this could be a common problem. I personally prefer using software to control these kind of things. Every time you add another switch or moving part to a machine it incresases the chance of any one part may break. The expectectation of maintenence of any technological device rises with the amount of working parts it has. No problems so far but the switches are definitely a weak link. But is it portable? Absolutely. Length and width are in a good ratio. It fits well in your hand. It’s only 13 oz. 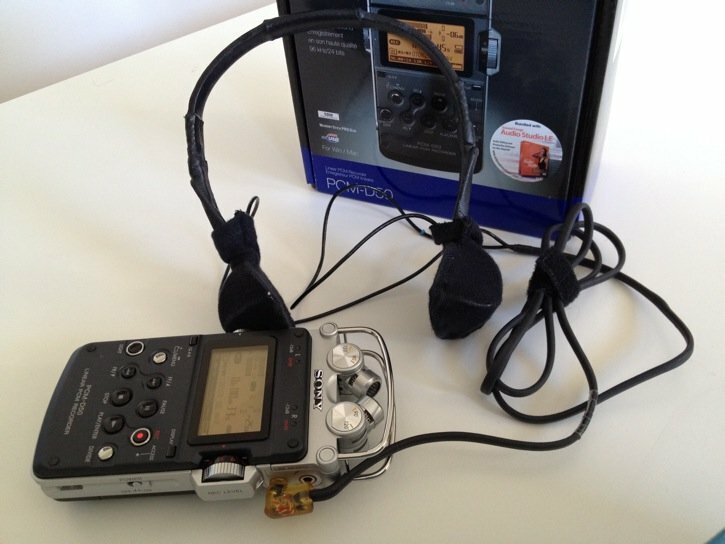 The metal construction means that it takes punishment that a portable recorder should. And because it’s so small it excells at concelment, which is essential for stealth or guerilla recording. How does the D50 sound? I’ve listed some samples below. These are raw sounds. Although they are trimmed, they are not cut, equalized or denoised in any way. Think of these samples of the raw capability of the microphone and the software. 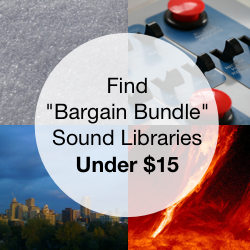 I’ve focused mostly on outside recordings to provide a variety of sound effects. There are recordings in clean enivronments, in wide, reverberant areas. I recorded both ambient and specific clips to study how they work in both of these sorts of places. There are some household specifics as well. I’ve turned on downloads from Soundcloud so you can analyze yourself in your own software and come to your own conclusions. You’re also welcome to use them in your personal projects (i.e. projects not used for business). I just ask that you don’t redistribute them (even for free). If you do use a sound for personal projects, credit is appreciated! I’ve listed what the recording is and ways you can think about how the D50 performs in that situation. Sound effect: Freight train idling and departing at a crawl sound effect. The train idles, rings a bell and then departs slowly to the left.What to listen for: stereo image, detail of bell, crispness of rail grinds. Sound effect: Freight train autorack cars pass sound effect. Constant slow passing autorack freight cars.What to listen for: stereo image, breadth and sense of space via rattling, frequency balance. Sound effect: College crowd in a food court sound effect. A packed food court at a college atrium during lunch.What to listen for: capacity for depth, ability to deal with wide, diffuse sounds, capacity for detail in a large, reverberant space. Sound effect: Water sputtering from faucet sound effect. Water choking as faucet is turned on after plumbing has been drained.What to listen for: ability to record specifics at close range, detail, stereo image. Sound effect: King beer can opening crispy sound effect. It’s a can of Kronenbourg 1664, if you must know. It was delicious.What to listen for: ability to record specifics at close range, detail, stereo image, crispness, background interference. Sound effect: Jackhammer working and chattering sound effect. Microphone set to 120 degrees (wide POV), about 10 meters away, some traffic in background.What to listen for: ability to capture detail amongst competing sounds, ability to capture clarity at distance, balance of frequencies. Here are some basic traffic tracks, recorded minutes apart. One is with the Rycote windscreen on. The next is with it off. The time I recorded these it wasn’t a windy day. Only a slight occasional breeze. Sound effect: Intersection traffic at a hill sound effect, wide POV. Sound effect: Intersection traffic at a hill sound effect, wide POV, no wind sock. These samples compare the D50’s onboard microphones with an external mic. Listen for the breadth of the stereo image, the weight of bass, treble and mid-range, and how they manage to capture detail and image in different environments when callenged by reverberant space, traffic and compressors. Note that I recorded the ambiences sequentially (I couldn’t run the D50 and the 6S at the same time). Sound effect: Cafe crowd light and steady with cutlery sound effect. Light cafe crowd chatting with some distant street traffic and background fridge compressor running. Sound effect: subway station entrance. Turnstiles clicking, crowd voices, footsteps passing. There’s a groaning sound in the left channel – this is a worn out escallator running. Listen also for distant subways arriving and departing, and if the recordings convey that sense of distance well or not. Like this review? Do the sound samples help you? If so, consider taking a few seconds to retweet this post. This really helps us! Thank you. Want more details? Next week I’ll finish the article describing secondary features, including gripes, praise and observations. I’ll also have a list pros and cons we found with the Sony D50.